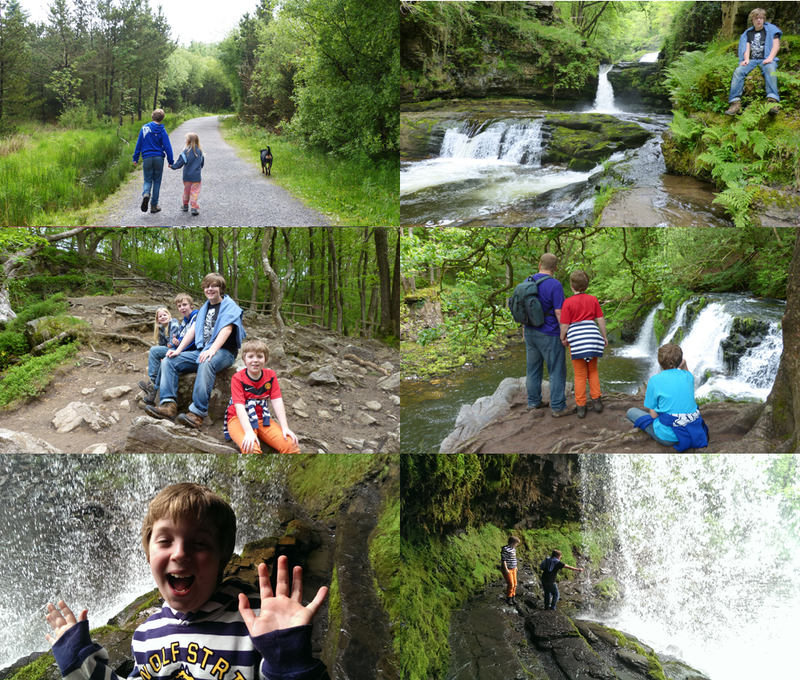 There are lots of paths around the two rivers, but the Four Falls Route from Gwaun Hepste is our favourite. This one’s an old favourite of ours – the waterfalls really do make it worth the effort. The walking is tough in places with a lot of steep climbs – you’ll have power thighs by the end of the day! In particular, the path down to the final waterfall Sigwd yr Eira descends steeply down high steps and rough stones to the falls. But when you make it down there, it’s amazing. Take the time to just sit and watch – and then navigate carefully along the bank and follow the path behind the falls. It’s an incredible experience, and for the children it’s what makes the hike worth every groaning step of the climb back up. Dinefwr is unusual for a National trust property in that it’s completely hands-on. There are no ropes banning access to rooms, no Please do Not Do That signs intimidating every area – each and every room is accessible and usable. And because of that it’s simply fantastic for the children. Below stairs is set up as the servants quarters, and you can wander in to the Butlers room and have a go at ironing a newspaper, try correctly folding a shirt or polishing boots in the laundry room, try on top hats and tails and understand what the Lord of the House would need on his breakfast tray. 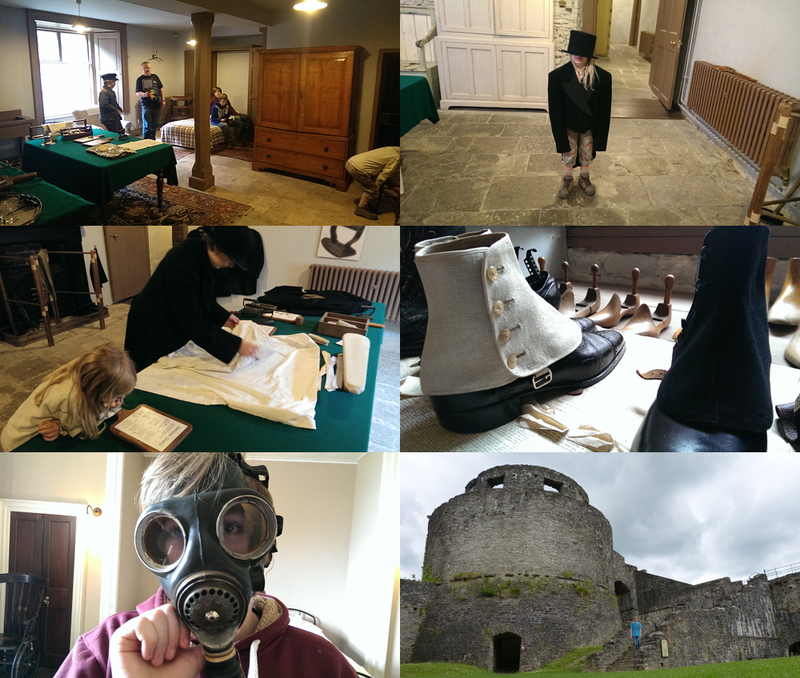 Upstairs, as well as the living areas laid out as sitting/dining room etc, there are rooms are laid out as a WWII military hospital – again you can try out everything, sitting in the wheelchairs, try on a gas mask or a uniform. There is a wonderful display talking about the trees in the park – the children flaked on benches to watch the mesmerising video while I wandered the room reading all about the park’s ancient trees. As if all that isn’t enough, after a picnic lunch we headed back into the grounds – we had the dog with us so I sat on a bench in absolute ear-buzzing quiet and nodded off enjoyed the peace, while the husband took the children around the wetlands Boardwalk, which they really loved. Then on again, across a stunning buttercup meadow, through an airy woodland and up the hill to the ruined castle at the top. Utterly perfect for an epic game of Block. 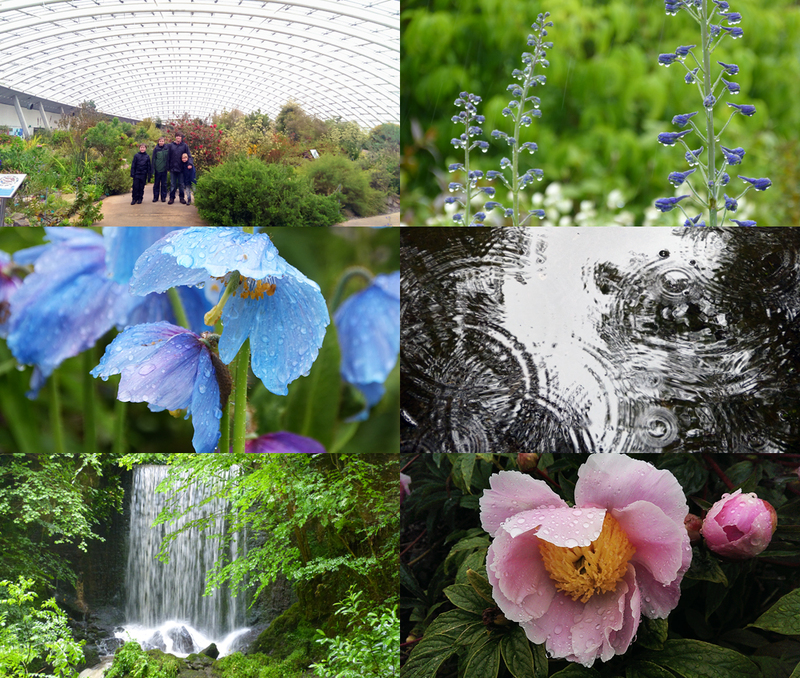 The Garden of Wales – it might have been sopping wet, but it was still gloriously fun. 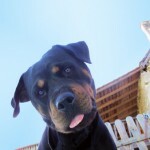 This visit has its own post coming shortly, but here’s a quick glimpse of the amazing time we had. It lashed down with rain all. day. long. 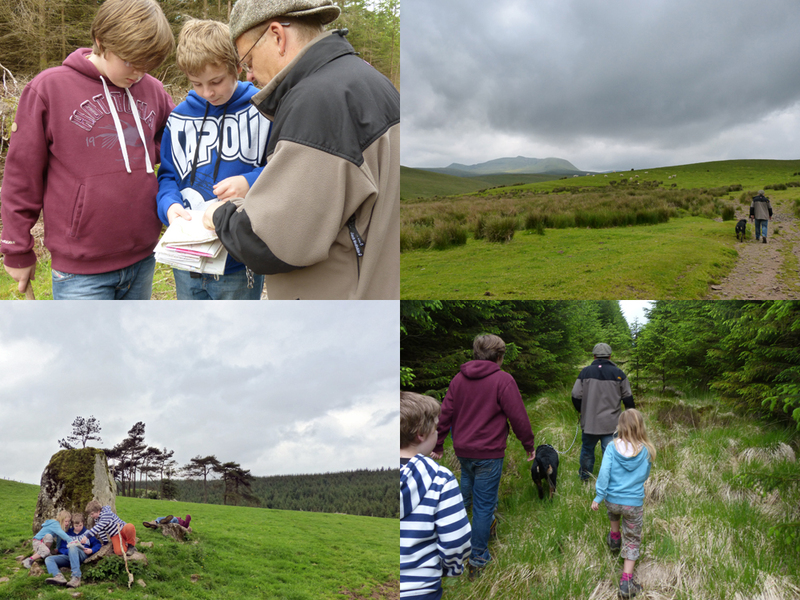 We were soaked to the skin – but even so we had a glorious day, and saw so much. There’s a woodland walk to a waterfall which we’ve never discovered before, the dome was fading after its astounding Spring blooming but still had some amazing sights, and the gardens themselves were beautiful even as they dripped and splashed. 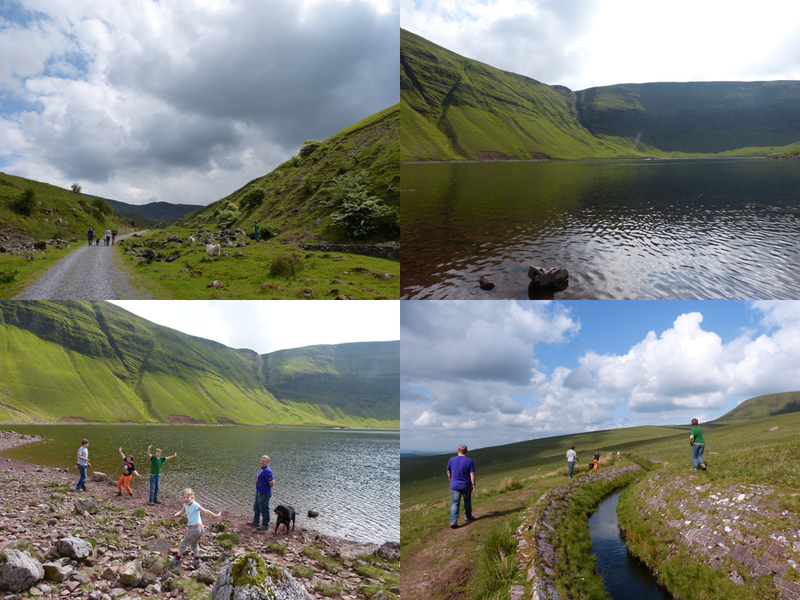 Day 6 – Walking Pen Y Fan, and a little River Splashing. 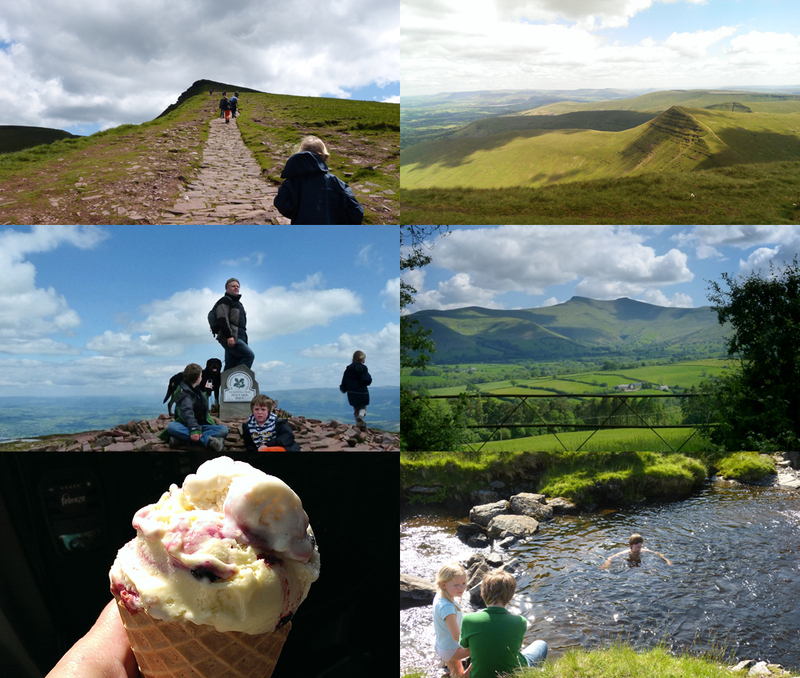 Pen y fan, followed by the best ice cream in Wales, topped off with River Swimming. Just… Heaven. The weather was kind to us the following day – a cool clear day that was perfect for walking the highest peak in the Beacons, Pen Y Fan. We decided to use a different route this time, and began at the Storey Arms – this is a shorter sharper climb than our usual way along the old Roman Road, but the gasping burst of energy is reward very quickly with the astounding views from Corn Du, and a gently undulating down-up route across the summit to Pen y fan itself. Despite stopping for lunch at the top, we were still back to the car in time for triple scoops from Llanfaes Dairy in Brecon, and then back across country for some river swimming in our favourite valley before heading home. An utterly perfect last day. Previous story Brittany Ferries for our #ItalyRoadTrip. Brilliant – as always.